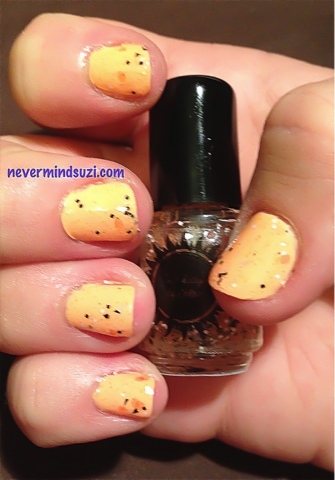 Totally Tubular is a clear base with neon orange micro glitters. Neon orange hexes. Black & white squares and translucent shards. 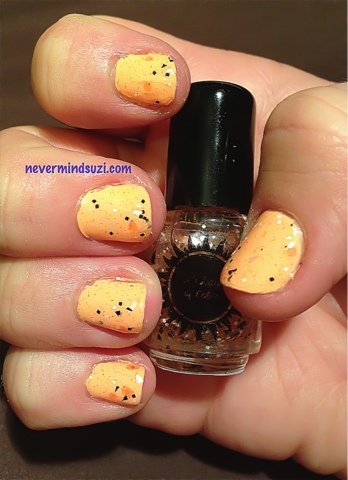 This is 2 coats over Peaches ♥ Cream which was opaque in 2 coats. 365 Days of Color - Pulling. It. Off. 365 Days of Color - Nobody Asked You PATRICE! 365 Days of Color - Righteous!